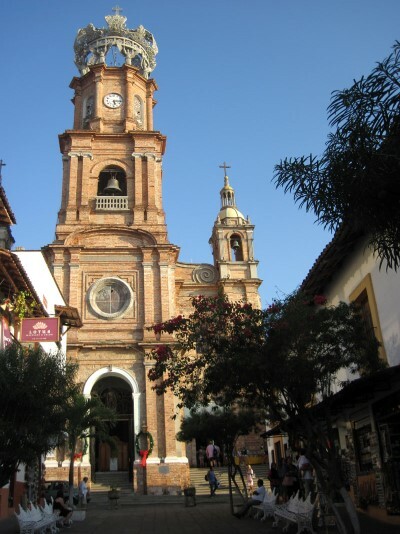 The history of Puerto Vallarta is one that echoes throughout the city and has shaped modern life to this day. In our posts, we often mention the storied history of cities throughout Mexico. But we've realized we haven't spent much time talking about that history. And it's rather easy to do that sometimes. Mexico, as a whole, has so much to offer that at times it feels like a whirlwind of experiences. There are new things to see. There's amazing food to try. And there's more than a fair of things to plan. So much so, it's rather easy to get swept up in just being present in the moment. 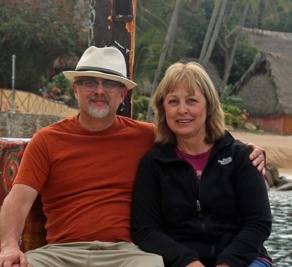 We were guilty of just that, the first couple times we visited Puerto Vallarta. And probably still guilty of it in a few posts. But after coming to know the city and its wonderful people a bit more over the years, we've come to understand its history. And once you know a city's roots, it adds a new layer of appreciation. It's like learning to know a loved one a bit more deeply. You can understand and fully take in the way things are because of knowing how they used to be. So in the spirit of looking a bit deeper and learning to love Puerto Vallarta that much more, let's take a look at its past. 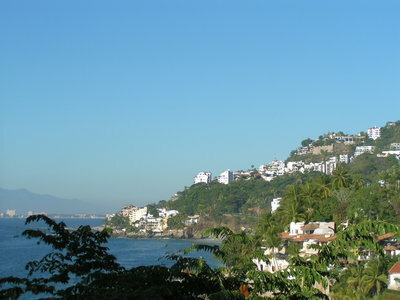 Puerto Vallarta, like most major cities in modern Mexico, was once Spanish occupied territory. This accounts for the beautiful Church of the Virgin and main square. But as such, this beauty was gained through Spanish imperialism. And like many areas within Mexico, the original inhabitants did not meet such a kind fate under the Spanish's quest for land. In a story that has become all too common throughout Mexico, Puerto Vallarta's original inhabitants were forced to give up their home due to Spanish violence. And while not pretty, it's imperative to remember history as it is, without glossing over the ugly parts. And under Spanish imperialism, there were quite a bit of ugly parts. Though ugly as it was and through the typical means, the Spanish took control over the area. From then, the area would remain undeveloped but occupied by Spanish sailors. Back then in the 16th century, cross-ocean trade was booming. Ships sailed across the seas bringing goods from one far-reaching continent to another. And while en-route to established trade ports, the Spanish used the area of modern-day Puerto Vallarta as a safe haven. Ships would dock in one of its many bays, protected from harsh weather, before setting off towards their final destinations. This is how the area existed for much of the century as the Spanish became more established within the protected bays. As time went on, the discovery of silver and gold in the surrounding mountains caused the area to shift in terms of usage. Large-scale mining operations were soon established as the hunt for precious minerals took over the area. Perfectly positioned along the coast and near ships waiting to take the precious metals, the operations flourished. And over the course of the next two centuries, the area became devoted to the search of minerals within the mountains. Fueled by the money coming from trade, the area's population began to grow over time, though no formal Spanish settlement was established in modern-day Puerto Vallarta. At the time of mining excavations (mostly silvr, the movement of salt from ships to the operations themselves was imperative. The operations relied on the mineral to process their precious metals. So of course, people were required to make the trip between the two frequently. It was out of those frequent journeys that the first settlement began. As the men who transported the salt began to bring their families along and create more permanent housing, the city of Las Peñas was created. Now with a formal name and an industry to support its inhabitants, Las Peñas began to become something more than just a stop along the way to the mines. Families grew and children were raised in the city, as such the population continued to boom. The once meager collection of shanties became a full-fledged town complete with agriculture and a budding infrastructure. Soon the booming town would face a pivotal moment in its history. As the mines began to lose value due to the discovery of mineral stores to the north, the town had to shift its way of life. Luckily the area was perfect for agriculture and as many families had already established small farms to subside on, workers found a new line of work to fall back onto. Las Peñas' newfound success with agriculture would find the town becoming a major exporter of goods. With this success, word of the town's beauty and natural abundance begin to spread with its goods. Soon word had begun to make its way north of the border and spread into the US. 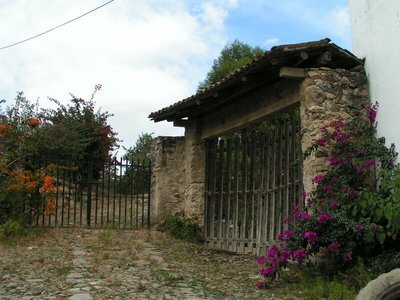 By the beginning of the 20th century, Las Peñas found itself undergoing another drastic change or two. For one, the town was given a new name to honor a Governor of Jalisco, thus Puerto Vallarta was born. Along with the new name, a new shift in industries came into focus. The transition towards tourism had begun. The once agriculturally based city started to attract visitors from all over the continent to enjoy its natural beauty and beaches. Though it wouldn't be until the mid-1960's that the area would fully shift it's focus away from agriculture and embrace visitors from around the world. With that shift, the entire city began to change. More businesses catering to tourist and their influx of money began to spring up overnight. From there, the boom towards becoming a world-renowned tourist destination would continue until now. Puerto Vallarta as we know it was formed during those years as locals embraced sharing their little slice of paradise with the world. The rest is as they say history. But as with all things, some parts of history are best experienced.